In which G.M. Norton has his (Christian) faith restored. One Monday morning a couple of weeks ago, I received a missive from gentleman’s outfitters, Peter Christian. 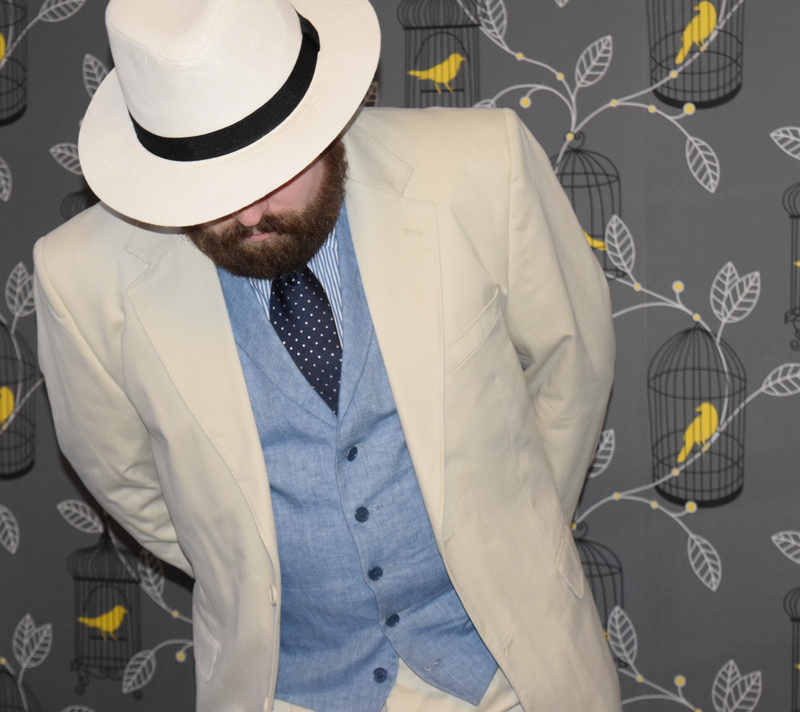 They were alerting me to a new waistcoat to pair with their £125 cotton summer suit. I’ve recently experienced something of a lean spell with beneficiary boutiques. I’ve bought the occasional shirt and a few books but like a Heroin addict that has already sold the family silver, I’ve not enjoyed a satisfactory score recently. A few days later and I had an overcoming urge to visit the nearby Oxfam. As it was the day before that glorious time of the month that is pay day, I only had £13 to the Norton name, so I was a little worried that I might finally spot a whole heap of things out of my financial limit. Upon entering Oxfam, I ignored the books that I sometimes spend time perusing and made a beeline straight for the menswear section. That’s when I spotted a cream cotton jacket, nestled between one jacket of the same colour and a hideous 1970s blazer that looked about the size of a tent. The jacket that caught my eye felt lovely and soft. Searching for a price tag and labels to indicate the size, I spied ‘Peter Christian’ emblazoned across the inside. My heart started pounding faster as I tried to keep my composure and find that blasted price tag….it was in my size! And a snip at a mere £5.99. My mind raced back to that electronic message from Peter Christian. This is a suit jacket, thought I, so where are the trousers? Usually, suit items are kept together so taking the orphan jacket, I headed for the trouser section (in truth, about three steps away). Struggling to remain calm, I flicked through the trousers at speed before finding a cream pair. Would this be a Peter Christian pair? Would they be in my size? I quickly prayed to the sartorial gods…..yes, the trews are Peter Christian! Yes! They are in my size! Without a moment’s dillydallying, both the trousers and jacket were in my hands and I was heading towards the changing cubicle. Thankfully, they all fitted rather well. My heart was all aflutter as I stood at the till ready to pay. My bank card came out like a pickled onion at the end of a fork as I felt my hands shaking with excitement. 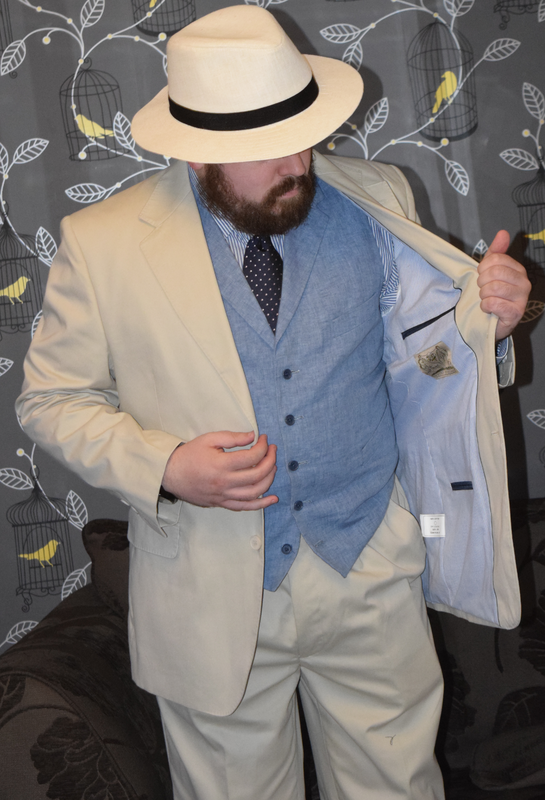 The trousers were £4.99, the jacket was £5.99, plus a 5p carrier bag making the £125 suit an absolute steal at £11.03. Leaving me with £1.97 in the bank. A cotton suit is perfect for balmier climes, when a chap seeks sartorial solace on sunnier days. I plan to add the waistcoat in the very near future. At £50 for the weskit, it will still be quite the bargain for a three-piece suit. It still had the labels attached to the trousers so the suit really is like new. Look at these surgeon’s cuffs too. Details like these are unheard of on most clothing. 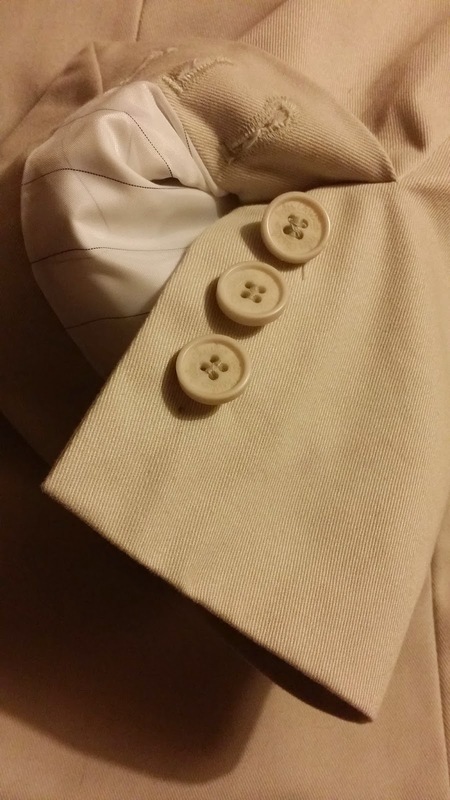 A true hallmark of a high quality suit, fully functioning suit sleeve buttons are known as ‘surgeon’s cuffs’. This comes from military medics who had to unbutton and roll up their sleeves to treat wounded soldiers on the battlefield. Perhaps I will leave the last button unfastened, as a subtle sartorial wink. I can’t wait to give my new suit it’s inaugural outing. Needless to say, my enthusiasm for browsing charity shops has increased once more. And I’ve learned to trust my feelings. 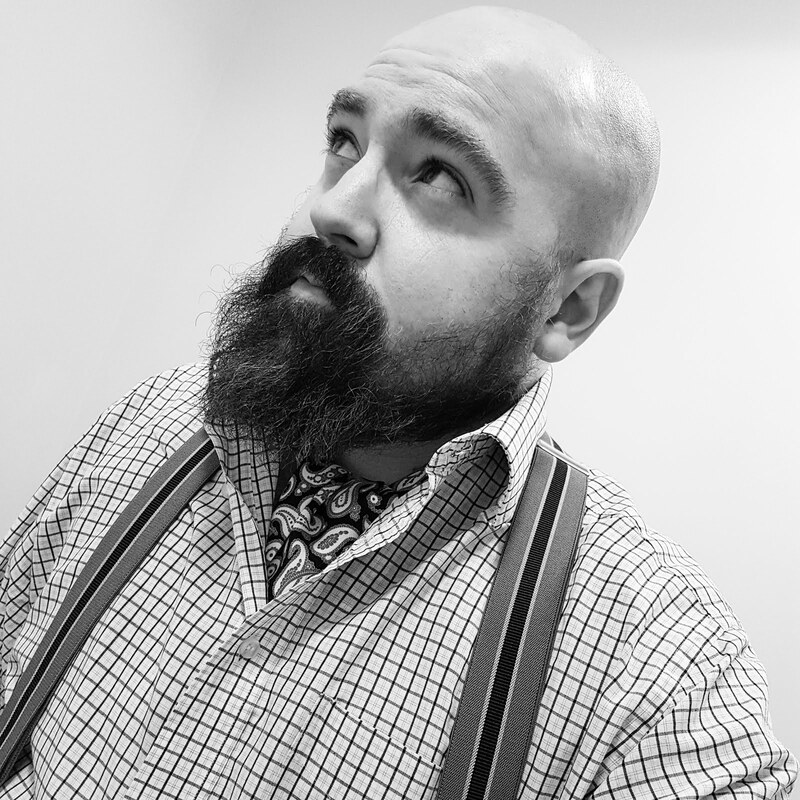 Mr N, to maintain one's Charity Shop Karma - one has to give to get :) Mr P regularly donates the proceeds of a shirt/suit cull and has had similar success as a result :) Beautiful suit. Also - tip top hat Sir!